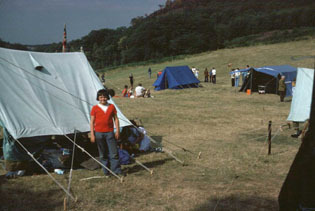 Lea Bridge 14th August 1976, My First Camp with 158th Breadsall Scouts was to Lea Bridge near Matlock, Derbyshire. 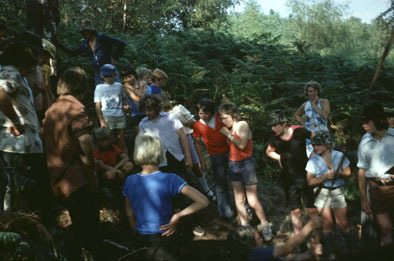 It was also the very hot and sunny. 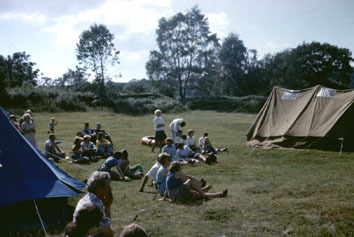 My brother at scout camp. 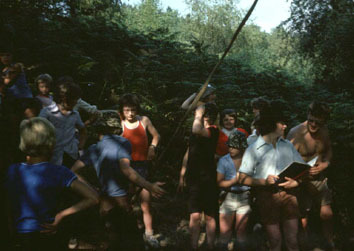 On visitors day we had a keenly fought competition to see who could put a peg highest up the bank. 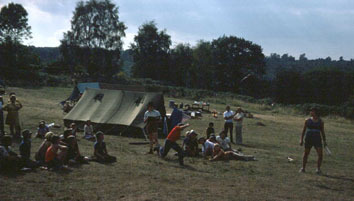 Robert taking part in the Scout Olympics during visitors day. 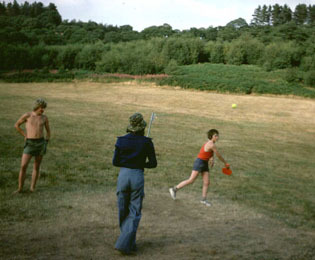 A large pair of flares. We returned to Lea Bridge again on 30th July 1977. 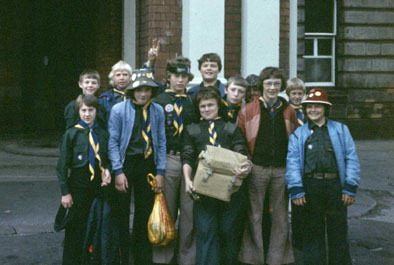 This is Breadsall scouts gathered at Derby railway station ready to catch to the train up to Matlock in July. 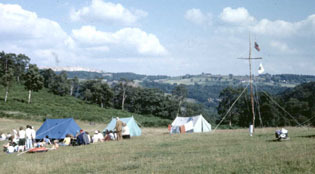 General views of our camp site. 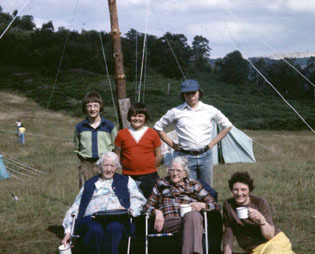 Dolf, me, Robert, Aunty Flo, Grandma and my mother on visitors day. Robert on the Windy Flyer again. 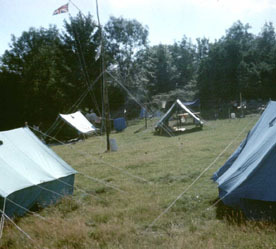 These brown tents were very old and ragged then. 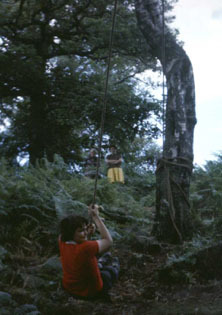 They were still in use 20 years later.